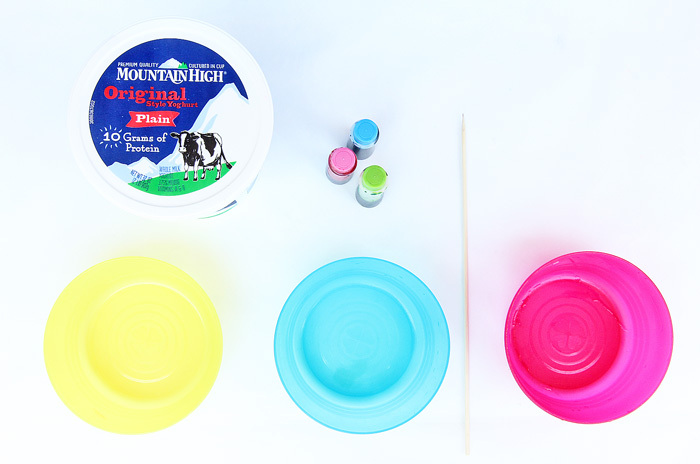 I love trying fun art activities with my kids and today I’m bringing you one with both a scientific twist and a surprise ingredient: yogurt. 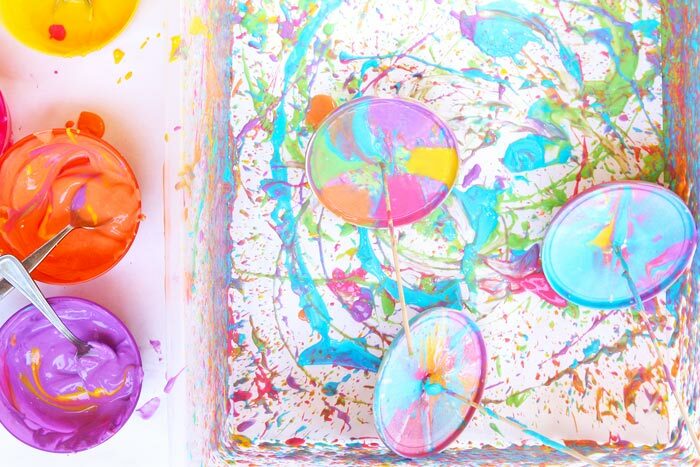 #2 Make paint top spinners from your yogurt container lids. It’s taste-safe. If you have little ones around who put everything in their mouth this paint is perfectly safe to taste. It’s easy to make using ingredients you have on hand. My kids go through paint like water. I buy a few bottles and next thing I know all the contents have been layered onto ONE painting……you catch my drift? 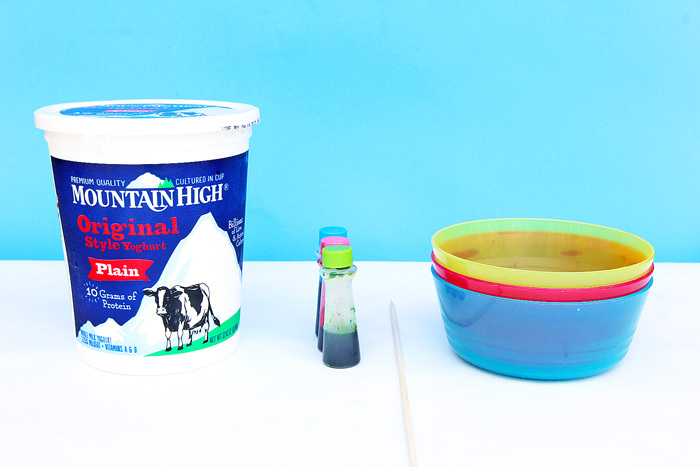 Yogurt paint is easy to make in a pinch and inexpensive. A word on using food for art: I realize that some folks are opposed to using food for art activities and I respect that personal decision. If you want to try this project without using yoghurt, you may substitute tempera paints for the yoghurt paint. Now lets’ move on to part 2: Spin Art. I’m obsessed with it. I can’t get enough of it. Seriously watching paint spin and seeing how it flies outward is not only fascinating but a really wonderful display of centrifugal force. See more below. 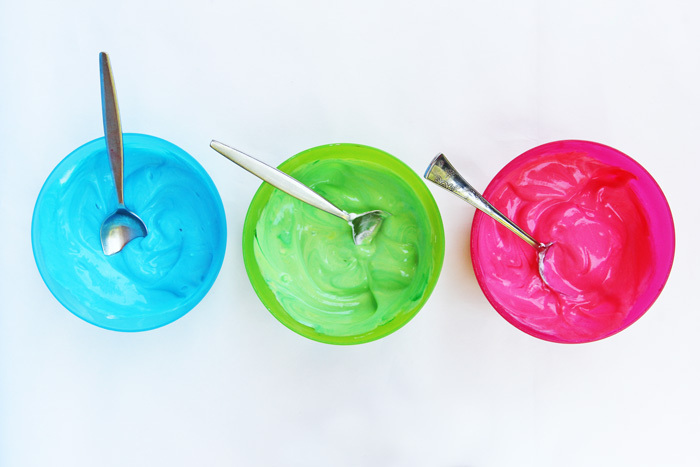 To make yogurt paint simply mix about 1/4 – 1/2 cups plain yoghurt with a healthy squeeze of food coloring. Stir to combine. This paint will last a few days if refrigerated. Note: Yogurt Paint is best for process art projects i.e. 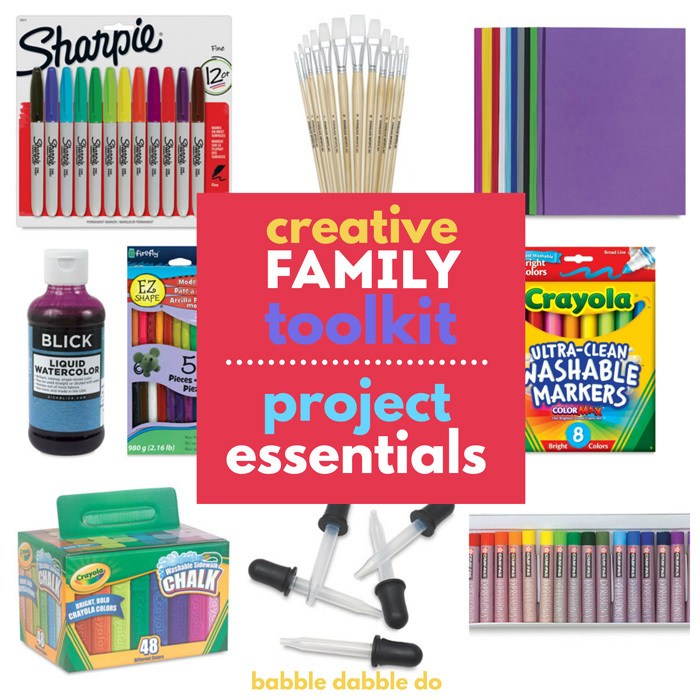 projects with an emphasis on making rather than saving. Yoghurt Paint cracks as it dries and should not be used for projects you want to preserve. You can also do this project with washable tempera paint if you want to display the results. Step One Take a 12” bamboo skewer (a sharpened pencil may be substituted if you don’t have skewers handy) and pierce the center of the yogurt lid. The top of the lid should be facing DOWN so that the top acts like a tray. Step Two Leave about 1 ½” of skewer exposed on the bottom. Test out your top to make sure it is level and spins well. Step Three Once the top is spinning well secure the skewer/pencil in place with a dab of hot glue on the underside. NOTE: THIS IS MESSY GOOD FUN! 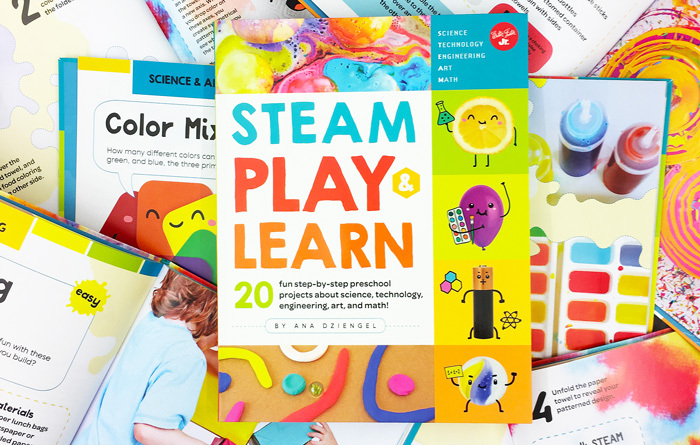 Do it outside and have a blast! Step One To use the tops cut a large sheet of paper to fit in the bottom of a wide and shallow plastic storage bin. Step Two Place a few teaspoons of several colors of yogurt paints onto a top. Place the top in the bin. Spin! Step Three The colors will fly out and splatter the sides of the bin, paper, and spread across the top. If you use primary colors (red, blue, and yellow) you can watch as the colors mix to form secondary colors. Spin the tops INSIDE the container. The paint does fly so if you spin it above the container it will splatter. Yogurt paint cracks as it dries and should not be used for projects you want to preserve. 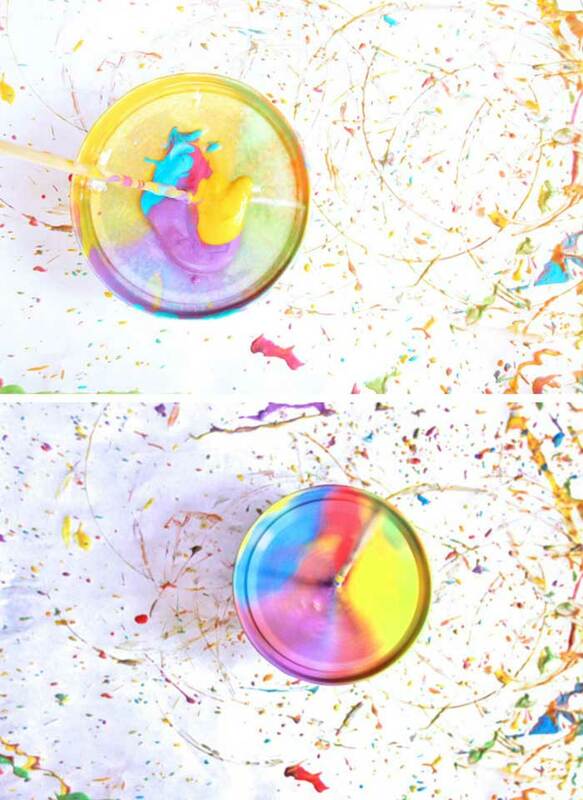 Spinning tops and flying paint are an example of Centrifugal Force. Centrifugal Force is not a real force but rather a term that describes the tendency of an object following a curved path to fly away from the center point. 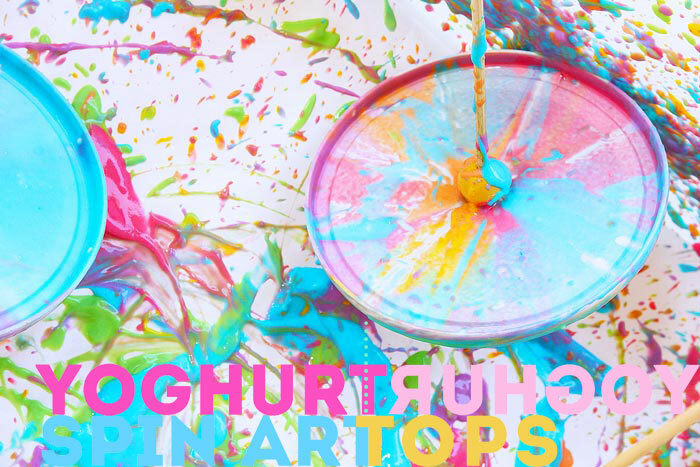 When you spin the yoghurt tops the paint is pushed outward as the top spins causing the colors to mix together and splatter. 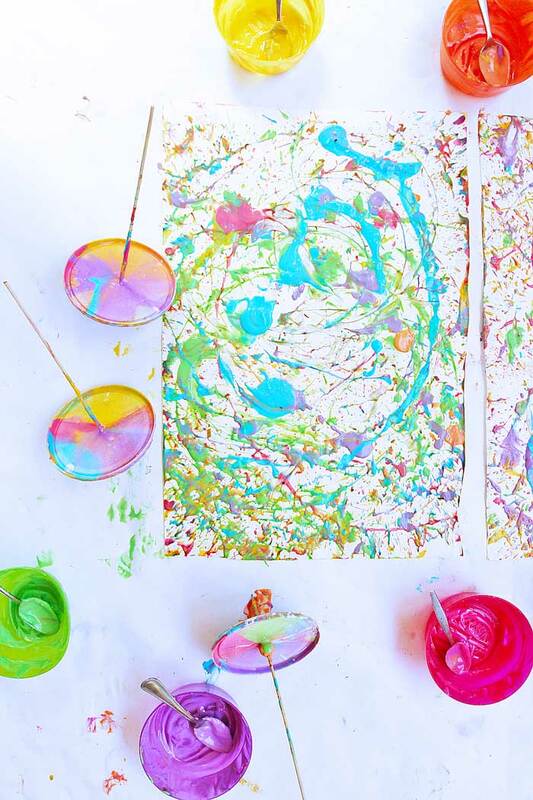 If you love process art and just plain easy, messy projects, you need to try making art using tops! 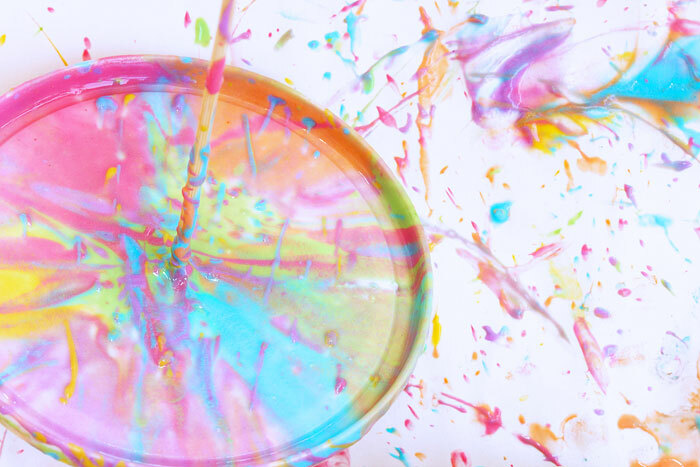 It’s a great way to observe centrifugal force in action and make a little modern art! Thanks, love this—I appreciate how you describe the activity in relation to science, etc. The granddaughters will be here today for our summer, weekly “Camp Rainbow”. Can’t wait for to try this! What a creative idea! 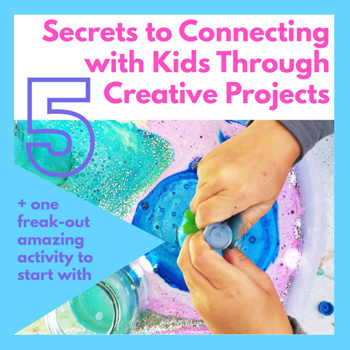 I love that the whole project is created with household items. Can’t wait to try it. 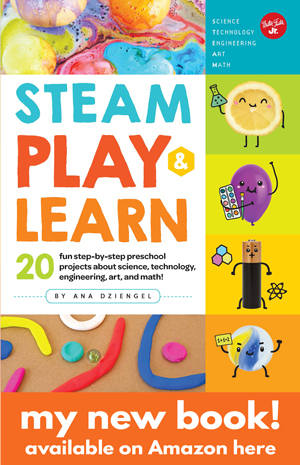 Hooray for messy fun! Thanks for the inspiration! We love messy fun Meredith! TI know you do too! Wow, so much fun. What a great afternoon project. 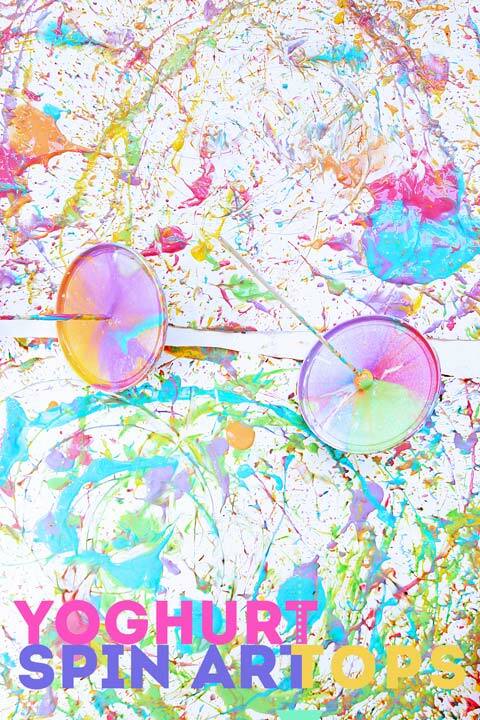 What a fun way to make art. 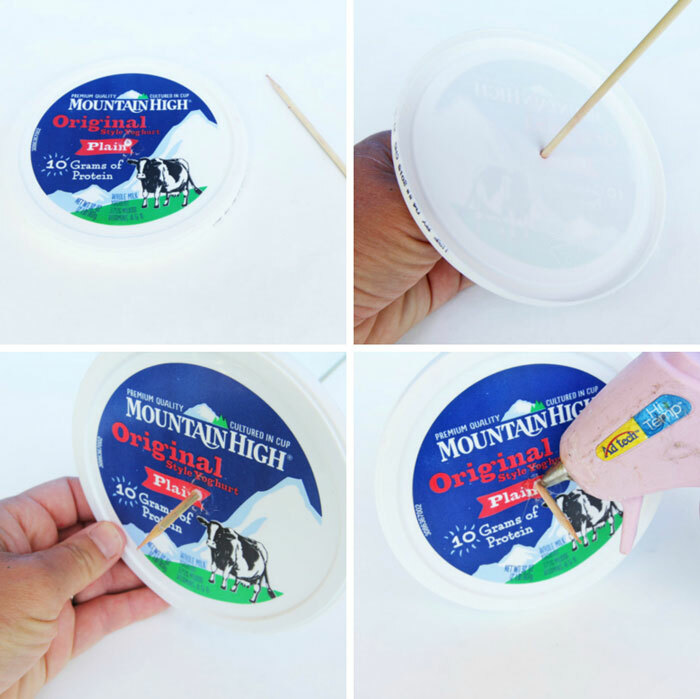 Good thing we saved our Mountain High Yoghurt Container! I love the combination of art and science here! Thanks. I think I’ll try using colored glaze on greenware clay in this method. Thanks for sharing your idea!! What’s great idea. I don’t have to buy vegetable spinner.